Deus Meus et Omnia: Which Code for Tradition? 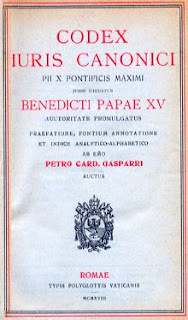 "In his report during the introduction to the new Code of Canon Law in 1983, he [Pope John-Paul II] emphasized to the bishops that the Code was part of the Council and that in this sense it was the Council’s last document." It is in this canonical embodiment of the Council's teaching that we must examine the binding nature of the Code of 1983. It is insufficient to simply regard the Code as if it was a collection of canons, each independent and to be examined according to each one's merits. The Code has a purpose and a spirit that defines it. This is not something that is hidden, or the opinion of conspiracy theorists. 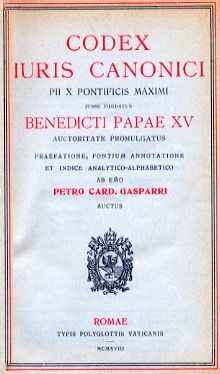 Indeed, in the Constitution whereby the New Code was promulgated, "Sacrae Disciplinae Leges" the Pope speaks precisely of the purpose of the New Code and its new spirit. "...Indeed, in a certain sense, this new Code could be understood as a great effort to translate this same doctrine, that is, the conciliar ecclesiology, into canonical language. If, however, it is impossible to translate perfectly into canonical language the conciliar image of the Church, nevertheless, in this image there should always be found as far as possible its essential point of reference. Hence it follows that what constitutes the substantial "novelty" of the Second Vatican Council, in line with the legislative tradition of the Church, especially in regard to ecclesiology, constitutes likewise the "novelty" of the new Code. Among the elements which characterize the true and genuine image of the Church, we should emphasize especially the following: the doctrine in which the Church is presented as the People of God (cf. Lumen gentium, no. 2), and authority as a service (cf. ibid., no. 3); the doctrine in which the Church is seen as a "communion," and which, therefore, determines the relations which should exist between the particular Churches and the universal Church, and between collegiality and the primacy; the doctrine, moreover, according to which all the members of the People of God, in the way suited to each of them, participate in the threefold office of Christ: priestly, prophetic and kingly. With this teaching there is also linked that which concerns the duties and rights of the faithful, and particularly of the laity; and finally, the Church's commitment to ecumenism." The Pope makes it quite clear that this Code of 1983, is meant to be the Council's "last document", for it embodies the "novelty" of its teaching by putting it into canonical form. There is indeed a unifying spirit that binds the canons together, and that is the new vision of the Church put forward by the Council. Thus we see that the Church must express itself now according to the new idea of itself found especially in "Lumen Gentium" and "Gaudium et Spes". This new vision permeates the Code, gives it life, and therefore provides the reason why Catholic Tradition must refuse it. There cannot be a new definition of the Church, given to us now after 1900 years. The Church's nature has always been understood by the Magisterium. It certainly does not now need to be discovered. If we look at the definition of Saint Thomas on the nature of Law, we find that he teaches that it is an ordinance of reason, promulgated by the proper authority, for the common good. In this succinct definition, we have the four causes. It is an ordinance (material cause) of reason (formal cause) promulgated by the proper authority (efficient cause) for the common good (final cause). It is not enough that it be promulgated by the proper authority. The same must hold true for the promulgation of the Code. It is not enough that it be promulgated by the Pope. It must be for a purpose, and this purpose governs its nature. The Laws of the Church must be ordered to their purpose- the salvation of souls, and this salvation can only be acquired by means established by God firstly: Faith and the life of the virtues. The supernatural order was not discovered at Vatican II. 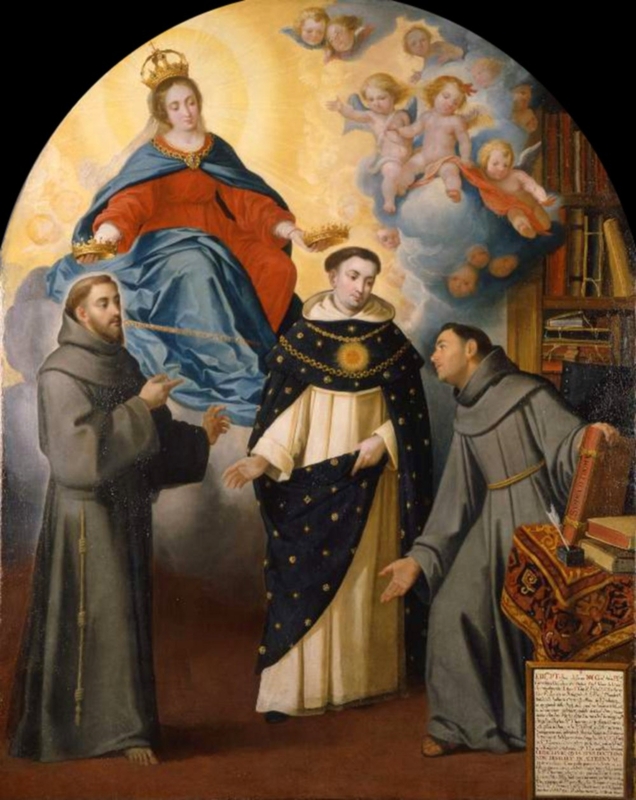 The Church had had myriads of saints from her founding, all of whom reached Heaven by adherence to the true Faith and by sanctity of life. The New Code is ordered to the "renewal of the Christian life" according to new principles, principles which did not demand conversion of life and opposition to the world. And so the Code incarnates this new vision, a vision of a modern Church no longer at war with the world, but friends with it, a Church no longer identified with the Catholic Church. So we end with the stark reality of this Code of 1983 having a life of its own, child of a Council turned away from the past towards a humanistic future. The new spirit is the life binding together the canons even as the soul makes one in operation the organs of the body. It cannot be accepted for the very reason the reform cannot be accepted, even if there are good and traditional elements sometimes present. The life and direction of this new law is the death of the Catholic spirit. For Tradition then, Catholics must hold on to the 1917 Code, inspired by its own life and finality. It is not a question of denying the Pope's authority, but of taking John-Paul II at his own word. This is a New Code for a New Ecclesiology, not for the Catholic Church. Deus meus et omnia- My God and my all. These words of Saint Francis summarize the attitude of every Christian toward the Blessed Trinity and all created things. No thing's worth can be understood apart from its relation to God, whether it be politics, culture, economics or any other created thing. Christ must reign over all!